Sometimes less is more, such as when your horse needs additional calories and energy, but you don't want to feed more grain. 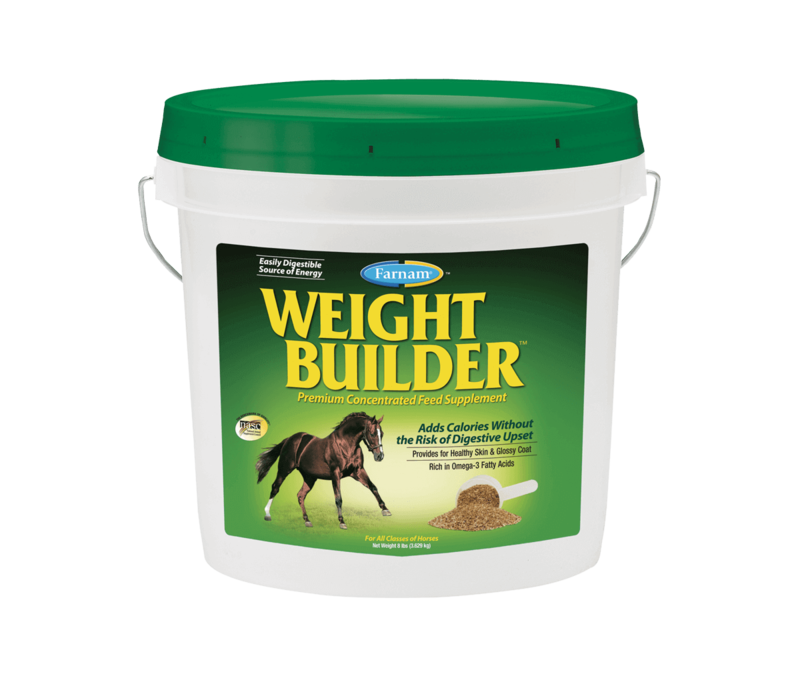 Fortunately, Weight Builder™ Premium Concentrated Feed Supplement adds calories without digestive tract upset associated with feeding extra grain. - To improve skin and coat condition, feed one scoop (2 oz.) daily with regular grain ration. - For weight gain, feed 2 scoops (4 oz.) daily with regular grain ration. Depending on a horse's activity level and condition, more Weight Builder may be fed with no adverse effects.